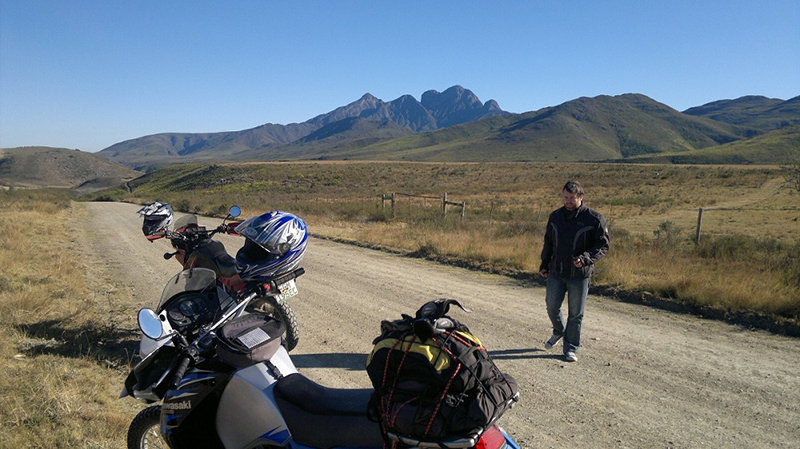 Less travelled Baviaanskloof area; beautiful mountain surroundings. 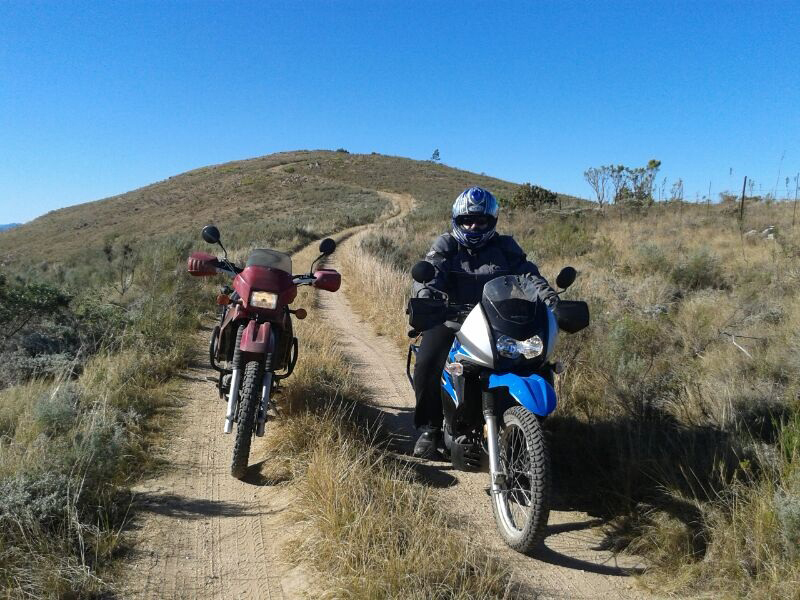 And for those living near the Baviaanskloof it’s a great day’s riding with technical, moderate and easy roads. 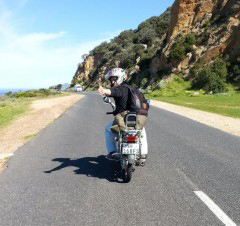 From Uitenhage take the R334 south towards Jeffreys Bay then take the Elandsrivier Road towards Rocklands and Patensie. 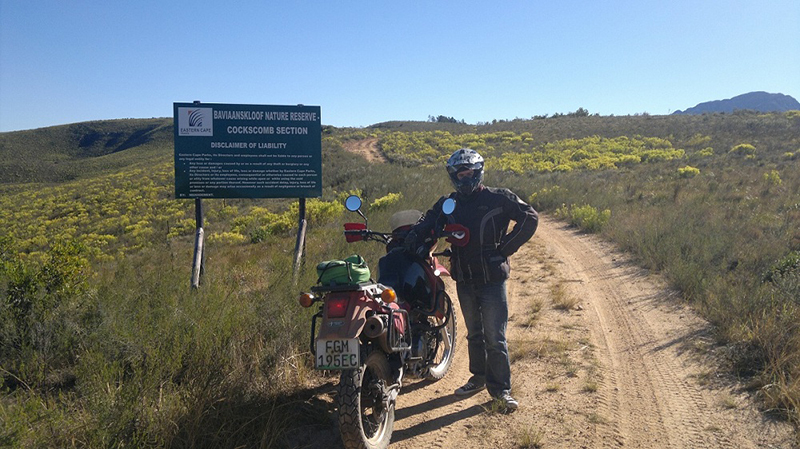 Continue for about 65km and take the Grootrivierpoort turnoff. 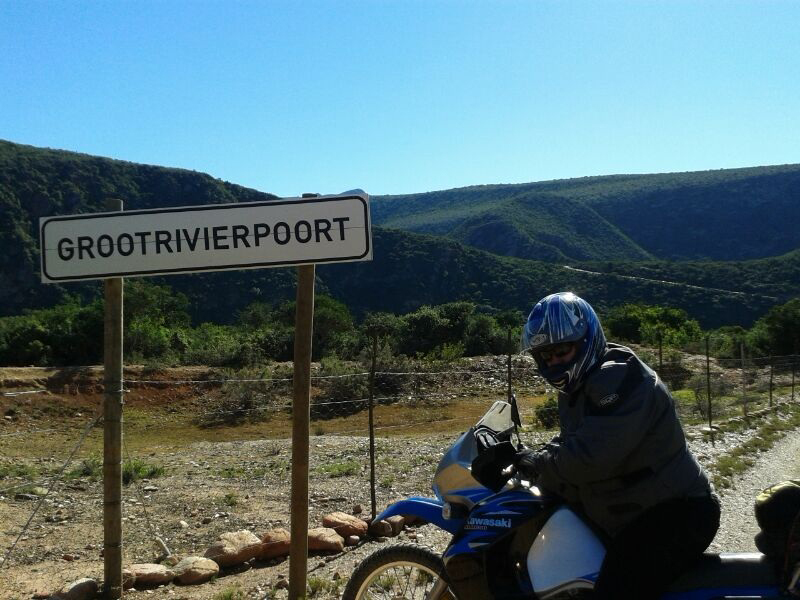 Turn right and follow the road along the plato until it goes down to the Grootrivierpoort (18km). From there follow the road up the mountain and head towards Steytlerville. Turn left after approx 17km and follow the road for another 17km and keep left. 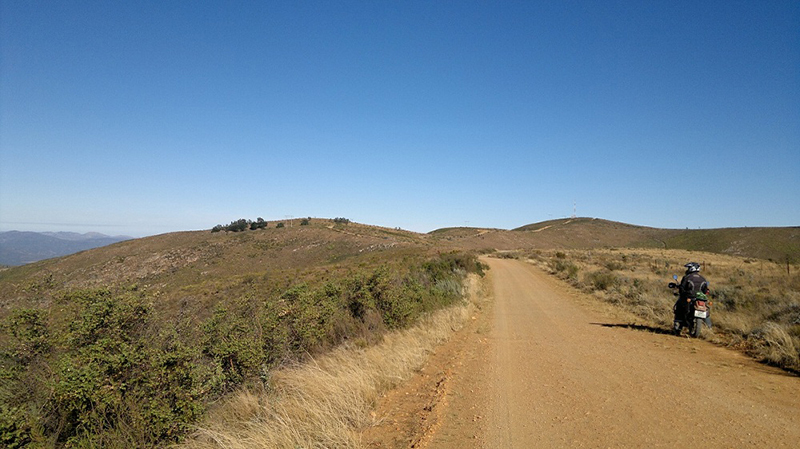 Take the main gravel road (Approx 20km) to Steytlerville. 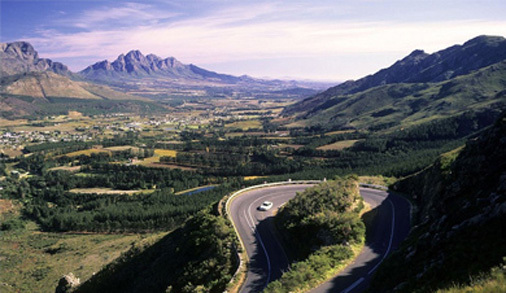 From Steytlerville take the tar road (R329) through Noorspoort and Waaipoort towards Wolwefontein. 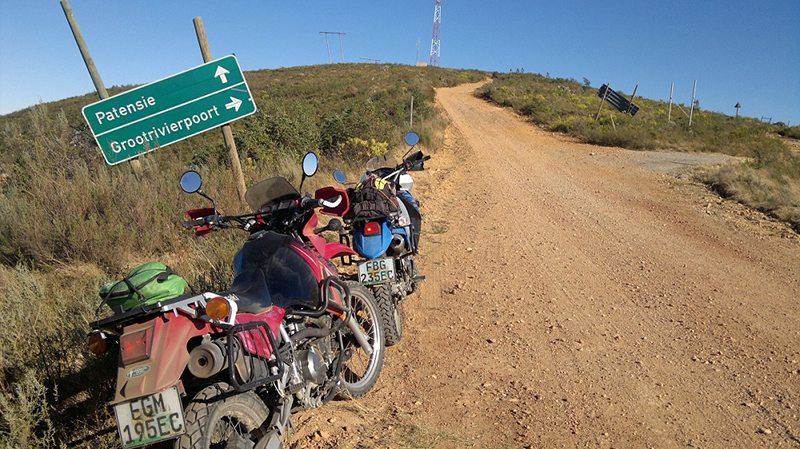 Turn right onto the R75 towards Uitenhage. 5. What kind of motorcycle is the route suitable for, e.g. adventure bike, superbike, cruiser, touring bike, scrambler or scooter. 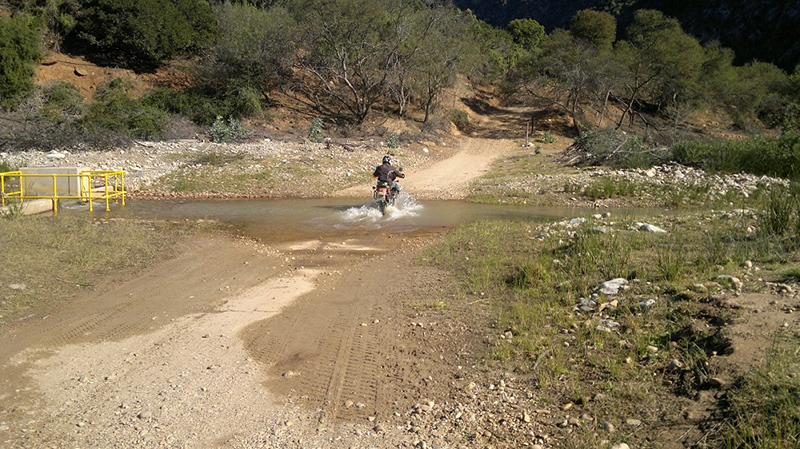 Due to technical and gravel roads, only adventure bikes and scramblers. 6. Please name significant points of interest along the way, e.g. eateries, supermarkets, accommodation. Please supply their locations. Sand River Dam (R311), Melkhoutboom Cheese Factory (R331), Boer War Relics Museum (R331), Steytlerville Royal Hotel, Karoo Theatrical Hotel (Steytlerville), Daniell Cheetah Breeding Farm (R75). 7. Any petrol stations along the way? Do you know of any motorcycle repair shops along the route or in the area? More than enough petrol along the way. No motorcycle shop that I know of. 8. Are there any dangers along the route, e.g. loose gravel, potholes, sharp bends, oil spills, wild animals or angry locals? Please say where. 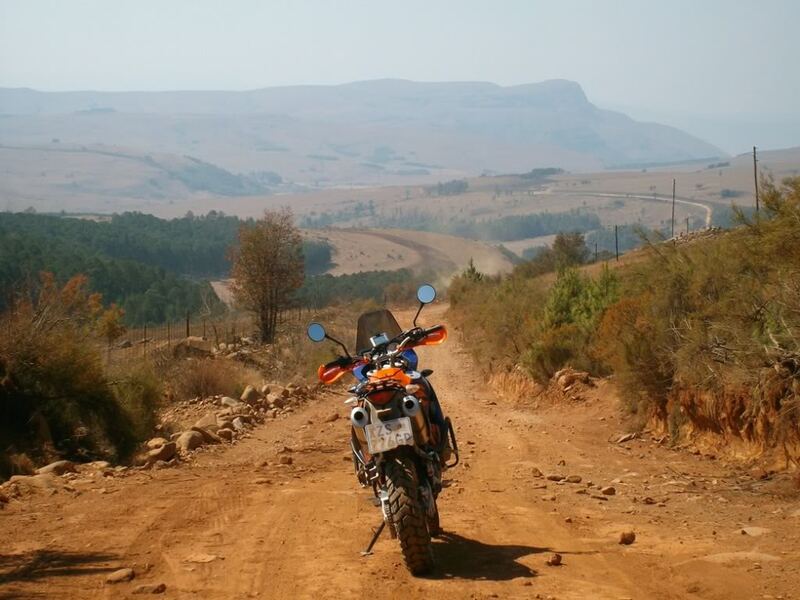 The road down to the Grootrivierpoort is very bad and technical with a lot of ruts, loose gravel and stones. Be aware of kudus along the road from Steytlerville to Uitenhage. No special gear was used. Worsbraai at the rivercrossing / King Burger at Royal Hotel in Steytlerville. This route requires some experience. The route could be done the other way round also.